Life is mighty good over here at Sailorgirl and I’m celebrating by sharing the love! At the beginning of every month I’ll announce a giveaway on my monthly newsletter (you’re a subscriber right? ), on my facebook page (you’re a fan right?) and here. Last month was the inaugural giveaway and I went with a gift certificate. This month I’m giving away a pair of my signature Ocean Earrings. There’s a chill in the air here in Canada and it’s time for the sailboats in Lake Ontario to be put away for the winter. My thoughts are straying to my little white sailboat sitting patiently in the sunny south waiting for Sailorgirl and the Pirate Guy to return for more adventures. Until I do I’ll be wearing my ocean jewelry daily to remind me of blue skies, turquoise water and fun times. To enter the giveaway: email me at catherine@sailorgirl.com and tell me this, where do you dream of traveling to? For a more chances to enter, twitter this giveaway and email me the link to the tweet. 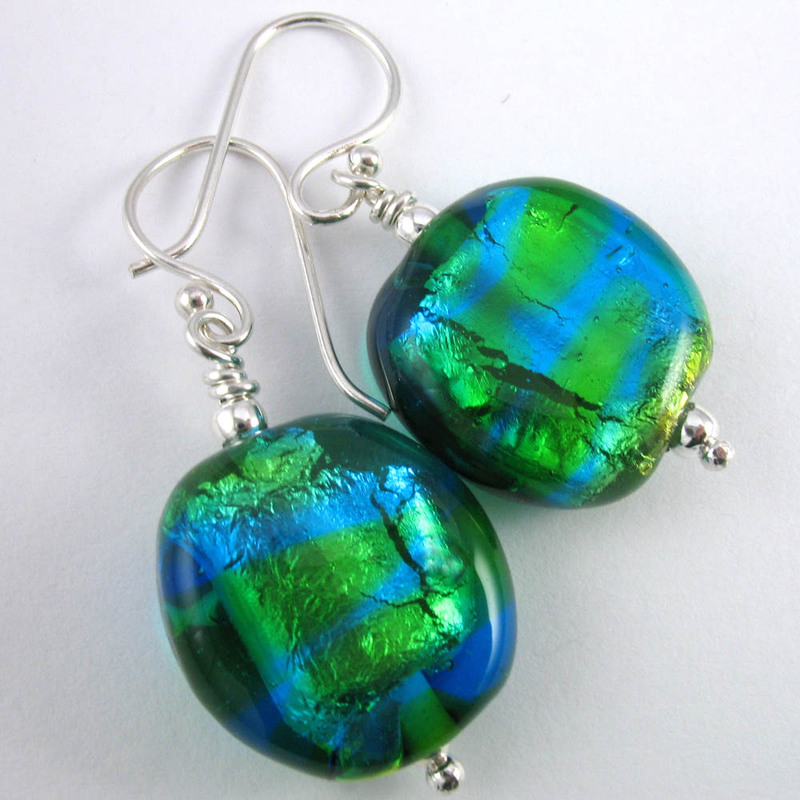 This pair of earrings is gorgeous! Such a wonderful giveaway. Have a lovely merry happy sunday and love to yoU! Those earrings are sooo beautiful! It is a super giveaway! I posted this giveaway in twitter and FB and I’ll do it again!